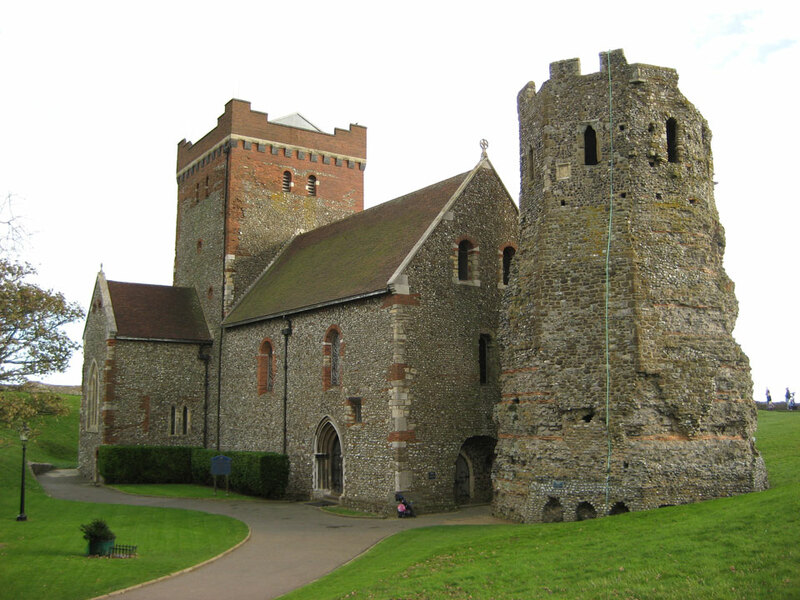 The site of Iron age, Roman and Saxon forts - the one remaining Roman lighthouse which was once 80 feet high still stands next to the Saxon church which was built in the year 1000. 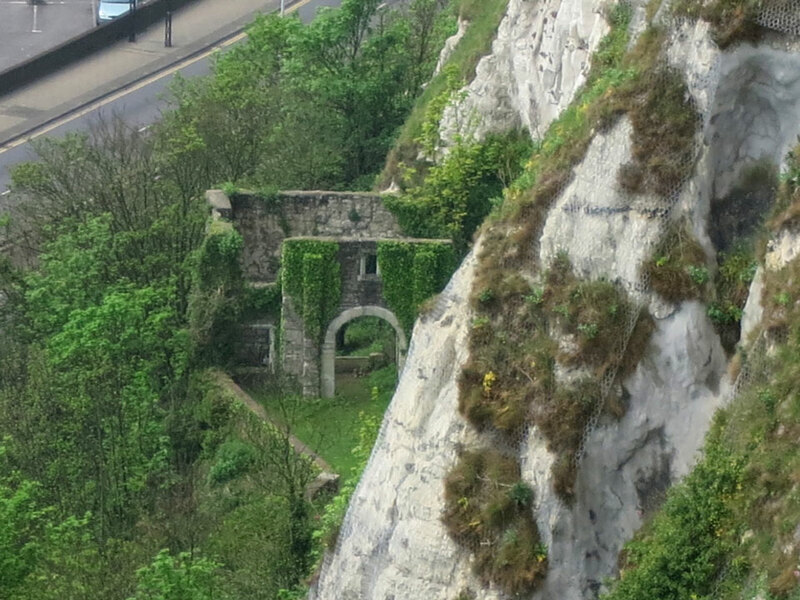 The other lighthouse was built on the Western Heights but has since been built over. 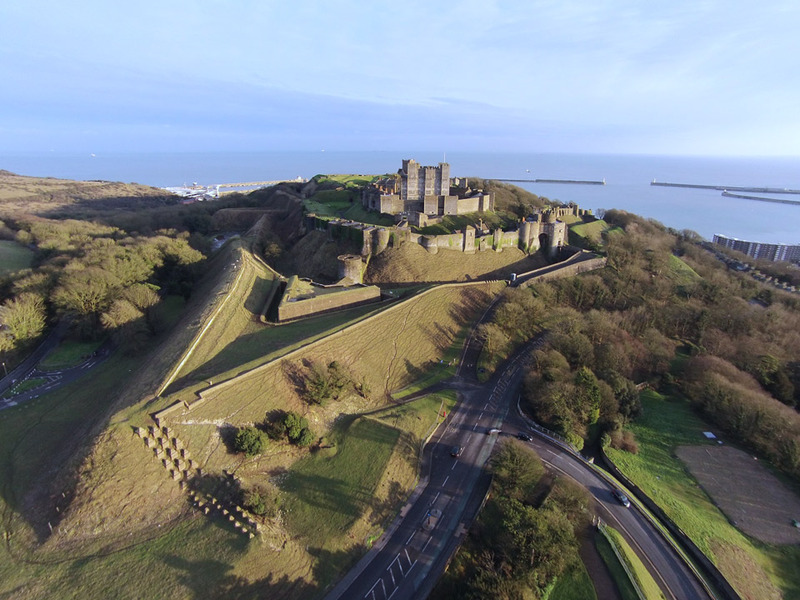 The Roman Portus Dubris Fort built in AD130 and rebuilt in the 3rd third century as part of the Saxon Shore defences is now built over underneath the town. 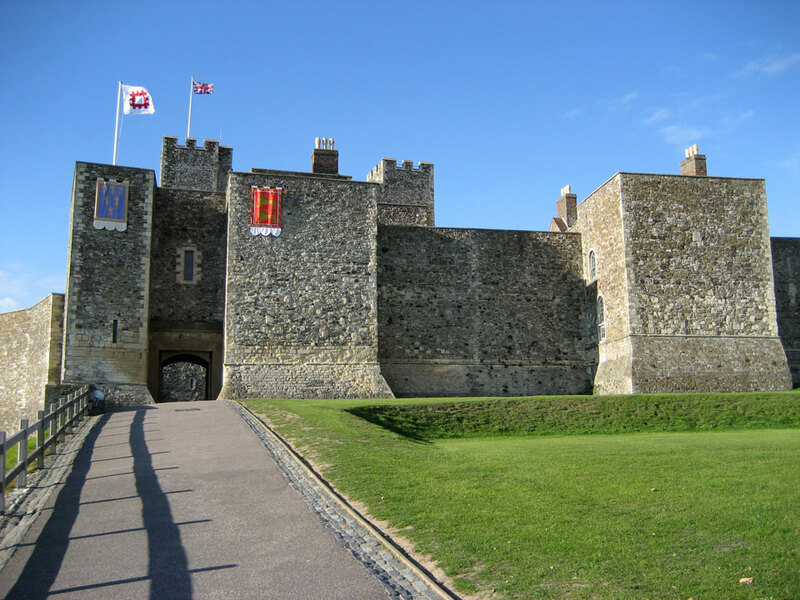 The location of the first Norman fortifications of 1066 is thought to be close to the lighthouse. 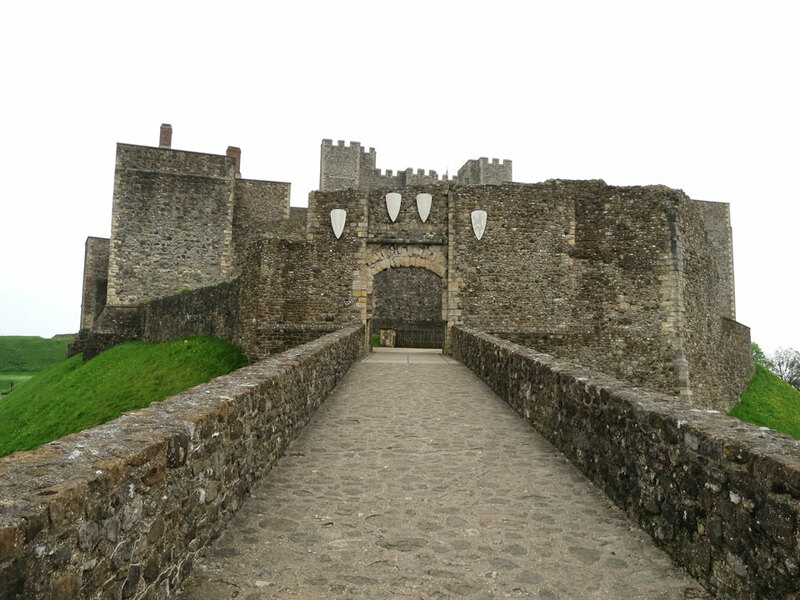 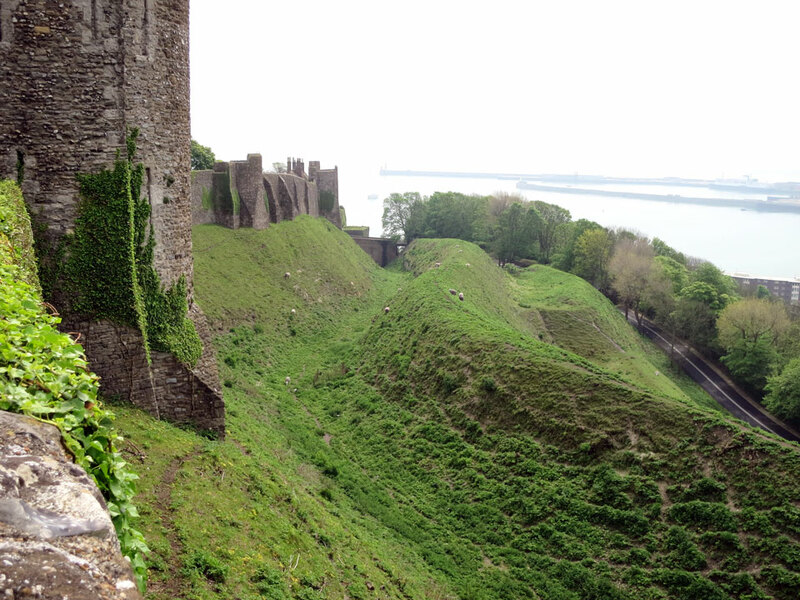 The walls were built during the 11th and 12th centuries with 41 towers and the massive 95 feet high rectangular keep and the surrounding fortifications, the inner bailey, were built in 1172-77. 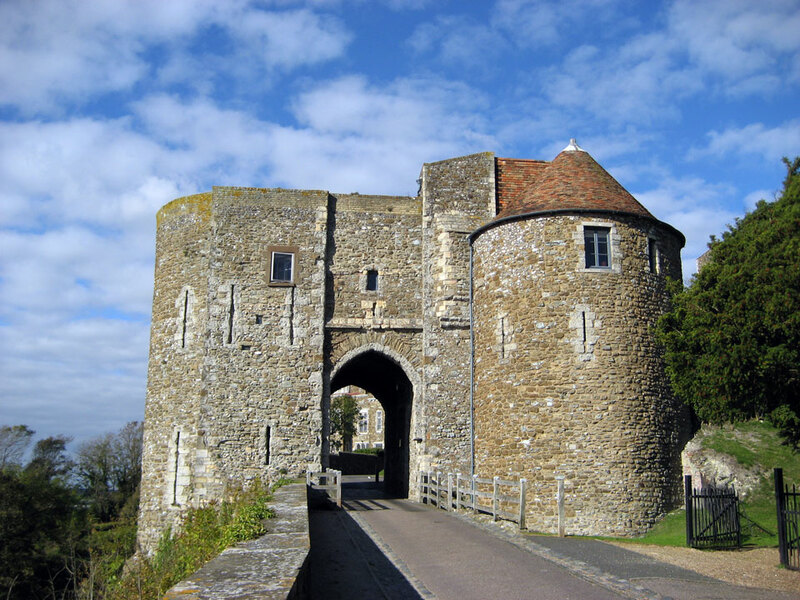 During the 1220s the main entrance was rebuilt on the west side, the Constable's Gateway, after the original northern entrance had been undermined during a siege. 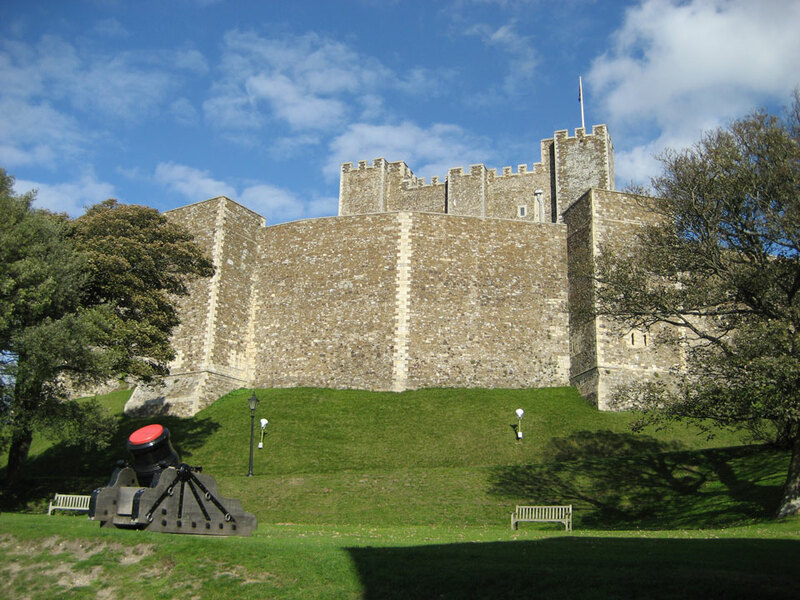 Further gun batteries were added in the 15th and 18th centuries as well as the underground tunnels. 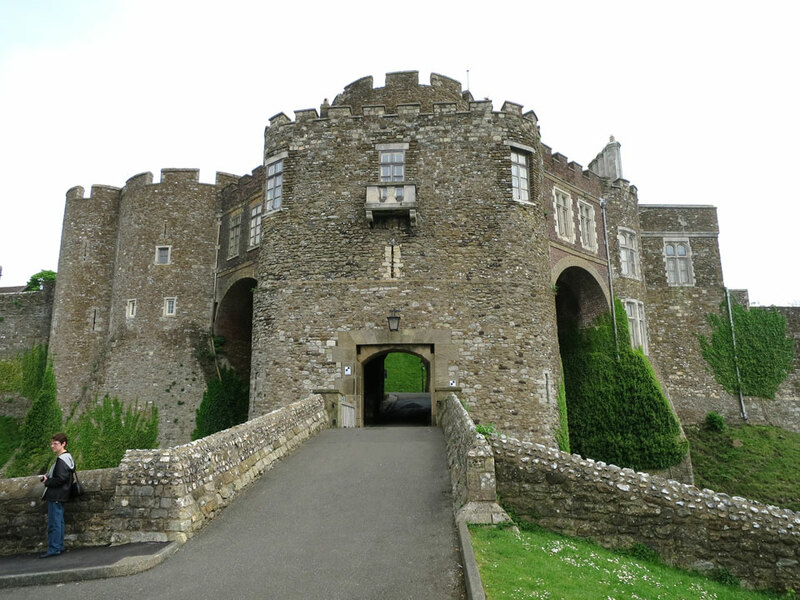 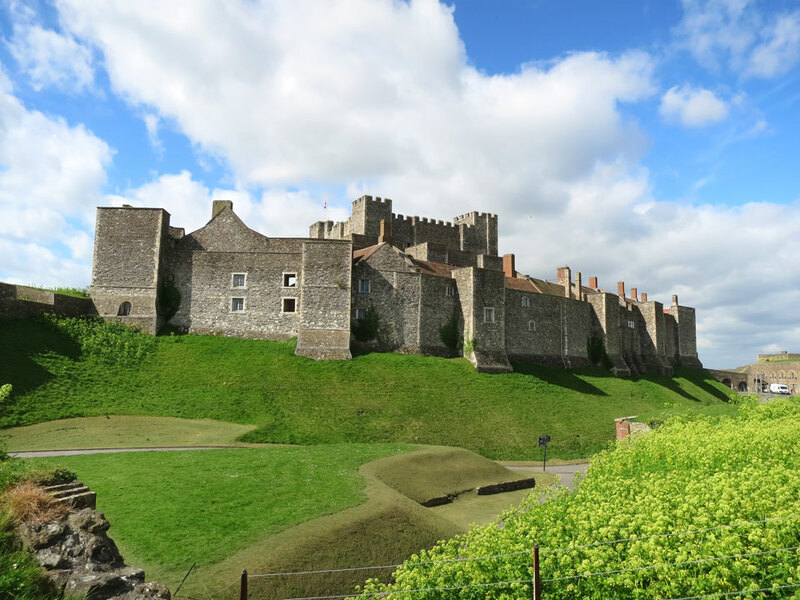 It is probably the strongest castle in England and one of the most important, as it has been in constant use for over 900 years. 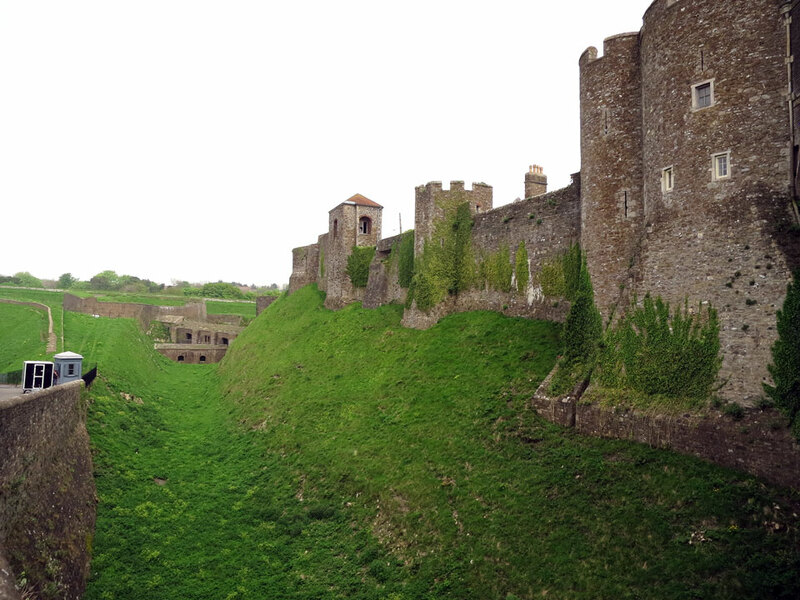 The nuclear protection bunkers in the tunnels deep under the castle were only decommissioned in 1984. 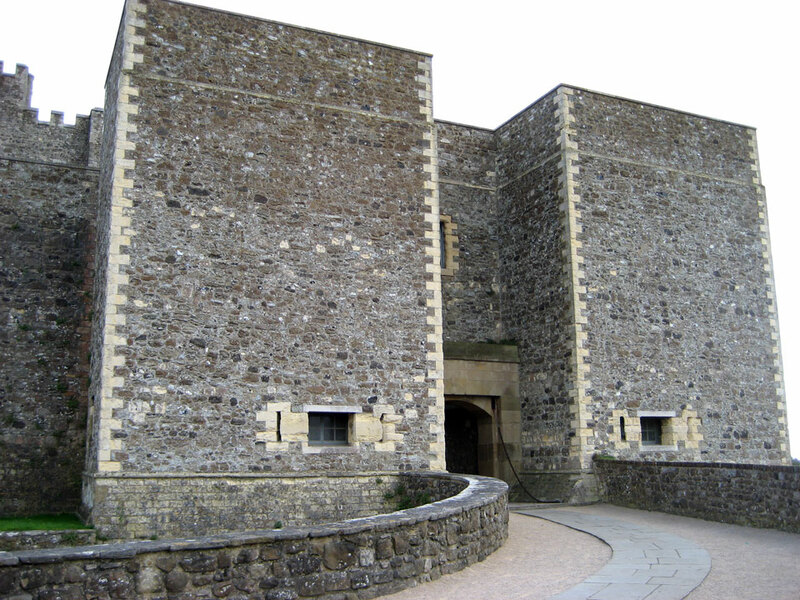 English Heritage, open all year. 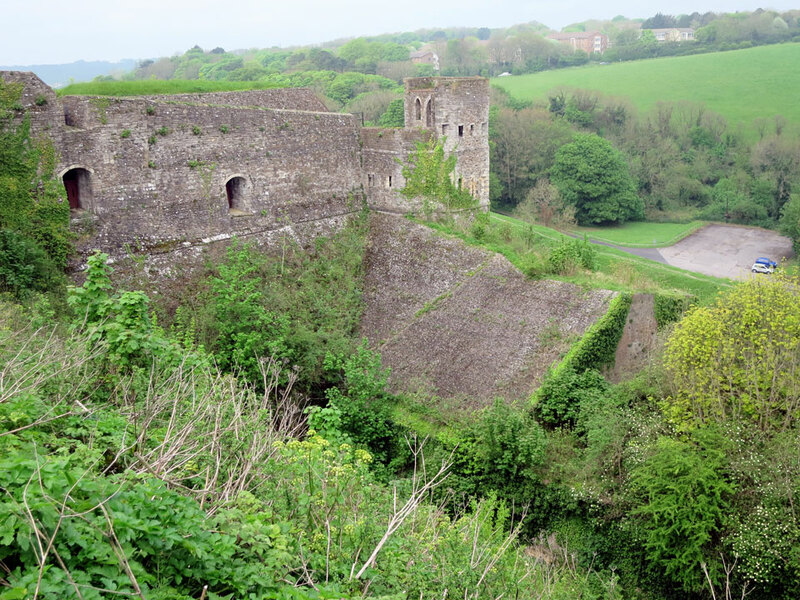 Three 1540's gun batteries were also built at the foot of the cliffs - Archcliffe Fort (below Western Heights), Black Bulwark and Moat's Bulwark (below Dover Castle). 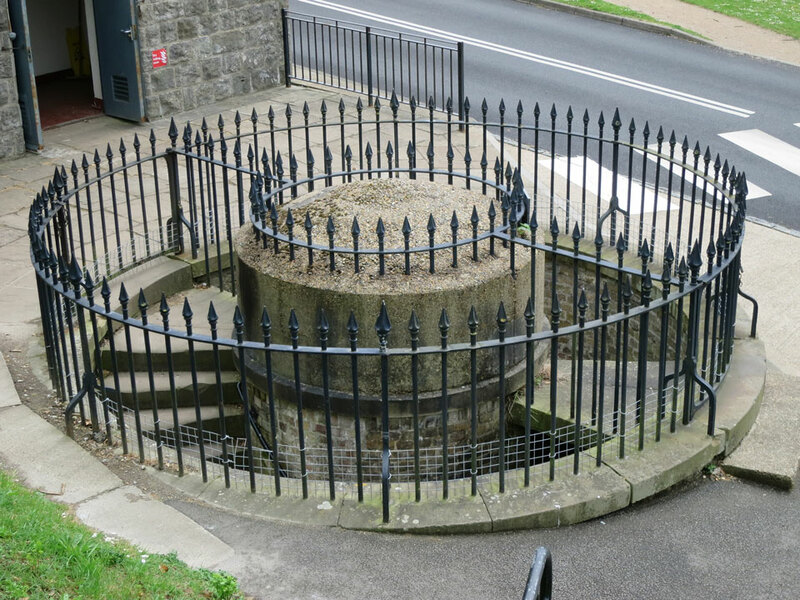 Between 1775 and 1783 Moat’s Bulwark's defences were updated the Guilford Battery was built in front of Moat’s Bulwark as an extra defence. 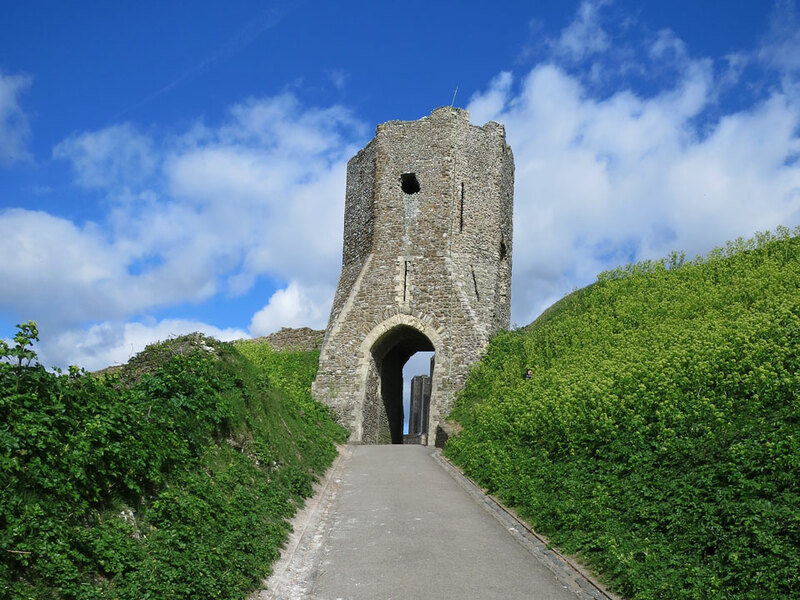 In 1856 a spiral stairway of 214 steps was cut inside the cliff, just south of Canon’s Gate, to link Moat’s Bulwark and Guilford Battery to the castle. 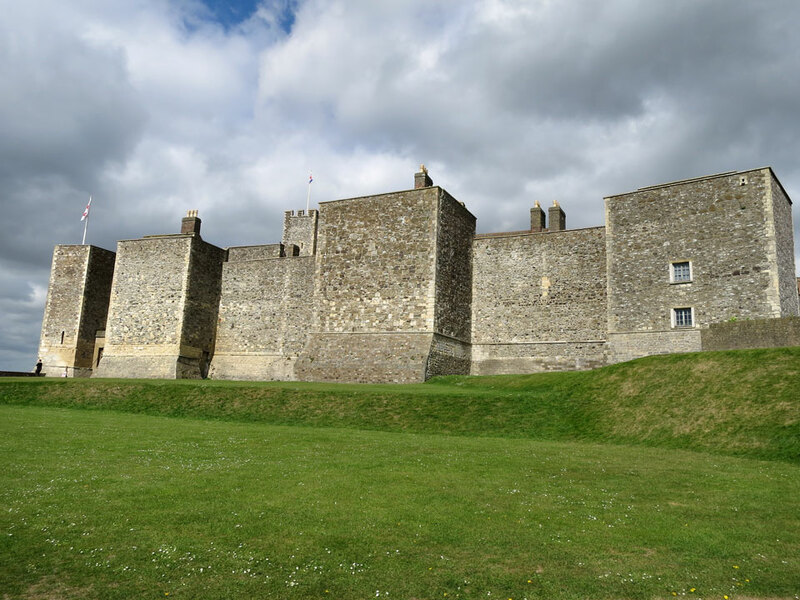 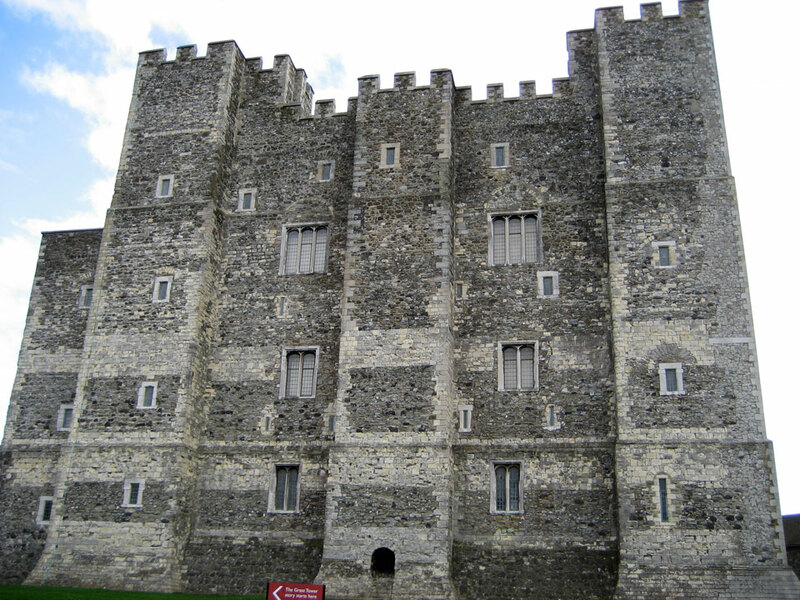 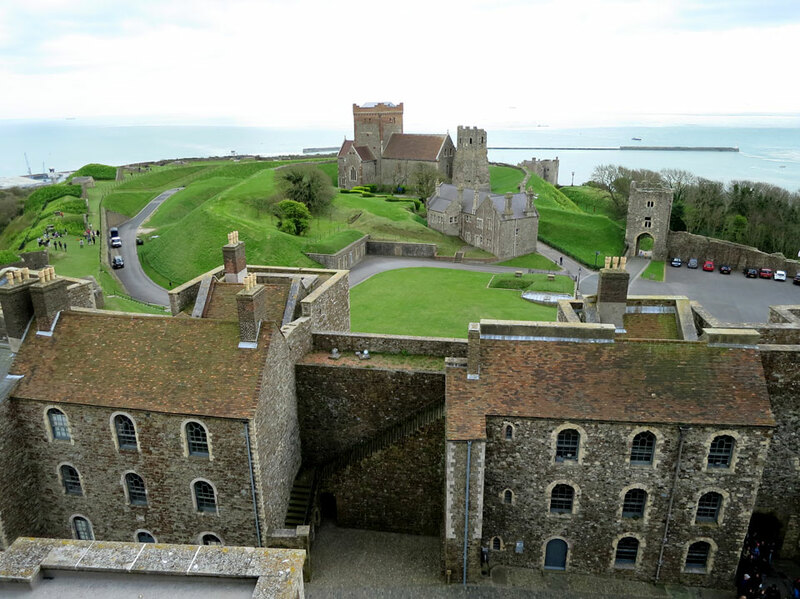 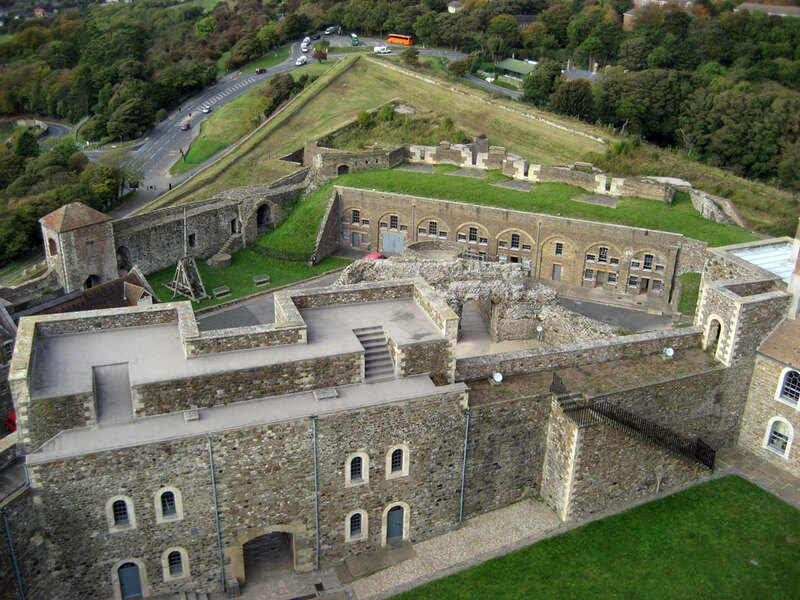 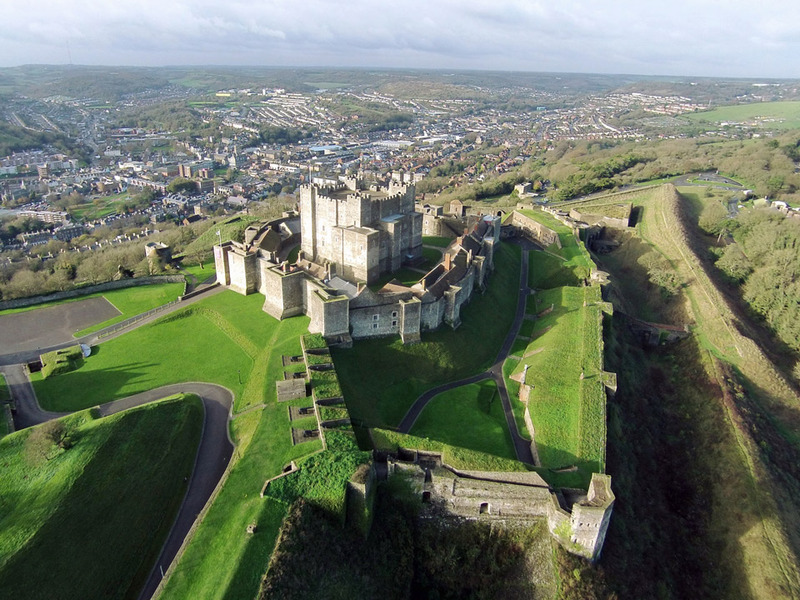 Nearby there are also the remains of the 19th century Western Heights forts on the west side of Dover and Fort Burgogne which is on land still used by the army on Castle Hill a mile to the north of the castle. 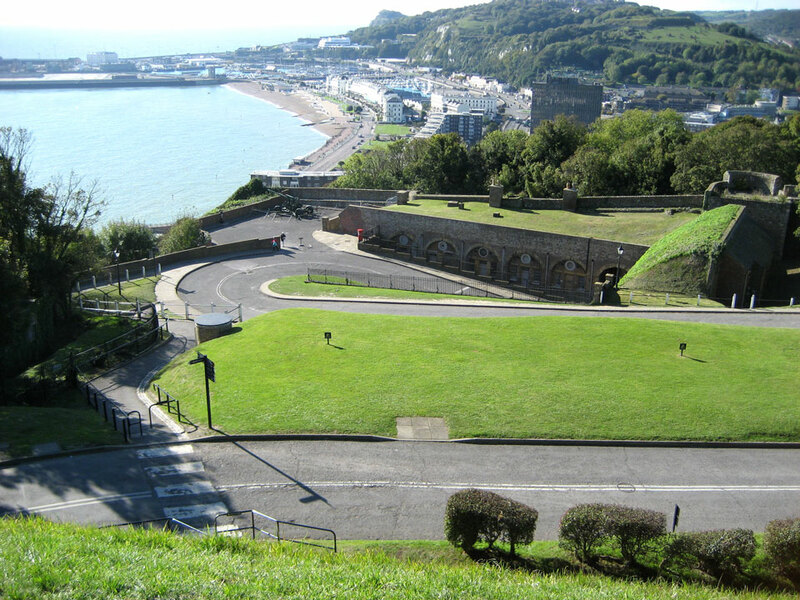 To the south of the castle Shotyard and Shoulder of Mutton Batteries were built in the 1860's.